We continue to favor the United States and emerging markets (EM) over developed foreign markets for global equity allocations. We see the U.S. economy as the primary driver of our forecast for 3.8% global gross domestic product (GDP) growth in 2018, supported by new fiscal policies, while Europe and Japan may lag. * The United States remains a global earnings standout as well. 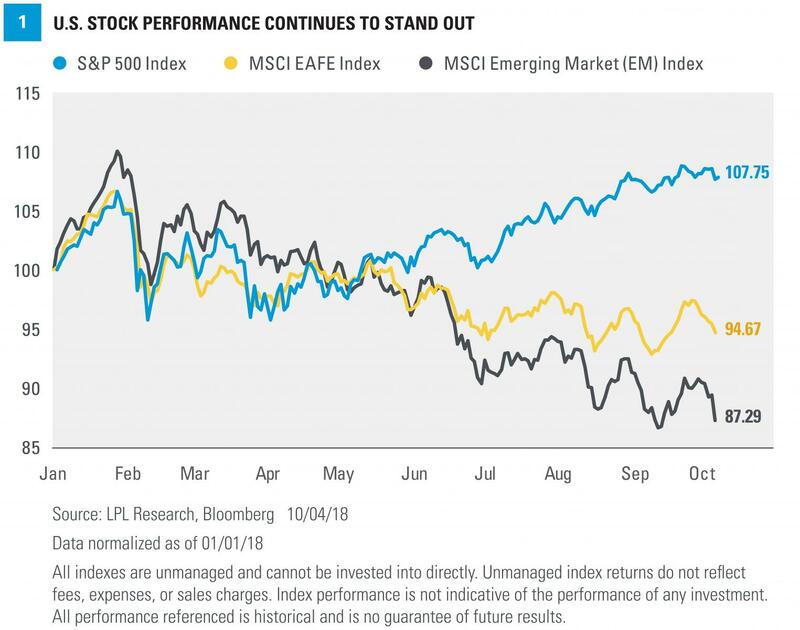 Despite underperformance this year, we continue to see upside potential in EM due to attractive valuations, recent economic growth, favorable demographics, and the potential for resolution to the U.S.-China trade dispute later this year [Figure 1].